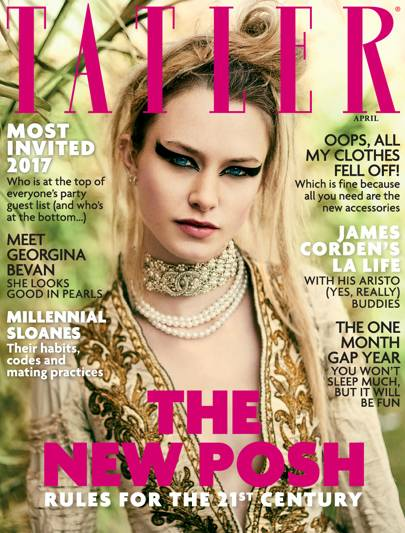 Tatler. Their list of top 10 most read articles on tatler in 2017. The April 2017 front cover, accessible on the website.